In Costa Rica, a country famed for its spectacular wildlife, rapid development is taking a grisly toll: each year thousands of animals, including endangered monkeys, are being electrocuted on the cheap, un-insulated power lines that are sprawling into previously untouched habitats. Economic development and a rise in tourism in the central American country has seen a surge of construction, encroaching into the habitats of many wildlife species. The electrical power lines installed to feed this expansion use bare aluminium wires that are electrocuting Costa Rica’s abundant tree-dwelling wildlife, including monkeys, sloths and opossums by the thousands. The data is patchy, but a recent government paper reported at least 4,500 animal electrocutions and system outages caused by wildlife in the last five years. 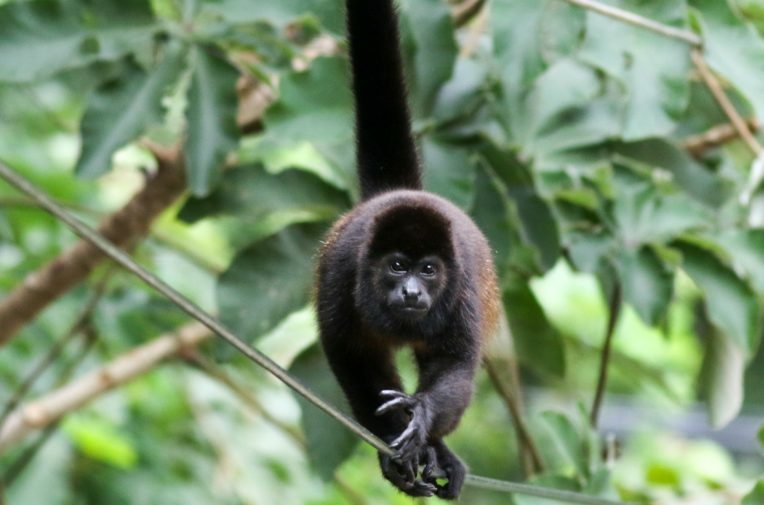 Several of the species at risk of electrocution, including howler, squirrel and spider monkeys, are endangered. This gruesome problem isn’t limited to Costa Rica: as development around the world brings high-voltage power lines into sensitive habitats, there have been reports of wildlife electrocutions ranging from elephants in India, to falcons in Mongolia, to gibbons in Myanmar. Refuge for Wildlife, a charity for injured wildlife based in the coastal town of Nosara, Costa Rica, says electrocution is the leading killer of howler monkeys there. “In rural areas, there’s been rapid urban expansion and trees [have been] cleared – overhead electric lines and transformers were put in uninsulated and wildlife use these as aerial runways,” says Gavin Bruce, project manager at International Animal Rescue, which is working in partnership with Refuge for Wildlife. Howler monkeys are named for their guttural howl, so loud it can be heard three miles away. They traverse the jungle canopy, travelling in troops, and sense no danger using power cables until they unwittingly touch a live wire and an earth, which sends up to 34,000 volts coursing through them. Common victims of electrocution include mother and baby howler monkeys: “Because the mother touches the live cables, she is often killed, but because the infant is hanging on and protected by fur, they can survive the initial jolt,” explains Bruce. 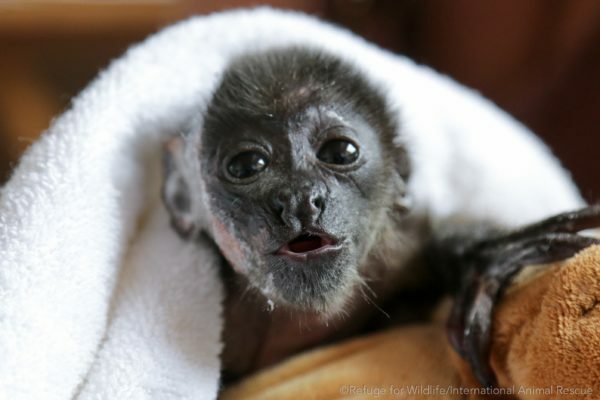 “However, organ damage is common and they can die months later.” Baby howler monkeys cry for days after the trauma of losing their mothers. In response to the issue, Refuge for Wildlife launched their ‘Stop the Shocks’ campaign aimed at raising awareness of the problem, and they are not alone. The Jaguar Rescue Centre on the Caribbean Coast launched their ‘Shock Free Zone’ campaign this year and many others countrywide are lobbying for change. Costa Rica is often lauded for its environmental good practice. The small Central American country was almost entirely powered by renewables for a record 300 days in 2017, and as home to over 500,000 species, it is famous for its biological richness. Eco-tourism is a significant source of income, and the country has laws to protect its wildlife. In May, the environment ministry, Minae, published its first guidance on addressing the problem of wildlife electrocutions. The 61-page directive includes figures on electrocutions and disruptions to electricity services caused by wildlife from five of the country’s eight electricity companies. This showed more than 4,060 animals had been killed in the past five years, with the Costa Rican Electricity Institute (ICE), the state provider, reporting 1,200 deaths in a single year. Additionally, in the Tempisque Conservation Area, where over 70% of the country’s hydropower is generated, 789 monkeys were electrocuted over 5 years. The report says many casualties remain unreported. The directive urges electricity providers to use insulated cables, install preventative measures, and provide data on animal electrocutions. But former ICE environmental engineer Rafael Quesada says companies are unlikely to follow the guidance due to costs. In 2001, Quesada and Edgar Arauz Ábrego, a biologist, conducted a two-year study of ICE’s then electrical network: “We analysed the exact points of animal electrocution and surrounding environmental conditions,” he says. In response, ICE took some preventative steps, but insulated lines cost far more than bare lines: “On a grid that runs 40,000 kms, insulation has been used on 1%…. It’s likely that in the last 20 years, at least 24,000 animals have been electrocuted on ICE’s network,” he says. Luis Pacheco, director of ICE, told Unearthed the utility company has worked with Costa Rica’s conservation authority to pinpoint the priority sites for installing insulation, and has taken further steps such as installing anti-scaling devices and pruning trees to make the power lines harder to access. However, he says, landowners don’t always keep their trees trimmed to maintain a barrier between the tree and electric line. Additionally, after decades of deforestation in Costa Rica, the country has seen a surge of reforestation which has resulted in animals moving closer to roads and therefore electric lines resulting in an increase in sites that pose risk of electrocution. The new directive has been welcomed by campaigners: “It remains to be seen whether these are funded and mandated,” says Gavin Bruce. At present, most new lines around Refuge for Wildlife are still erected without insulation and significant costs fall on rescue centres. Refuge for Wildlife spent $14,000 (£10,600) in 2018 alone on insulation and the Jaguar Rescue Centre is raising funds to insulate 20 local poles. The environment department is seeking funding for national park pilot programmes and will host an international conference next year, but Ramirez admits progress is slow and there’s no timetable for mitigation implementation. A recent study published in the International Journal of Primatology by MsC student Lydia Katsis noted that electrocution is an issue for 28 primate species worldwide, yet there are few studies analysing how this has affected populations. Research, however, can help. In Diani, Kenya, Katsis with the University of Bristol and Colobus Conservation mapped primate electrocution hotspots and used this data to lobby Kenya Power. The utility company agreed to insulate 12km of cables at a cost of $115,000 (£87,400). In Brazil, conservationists in Porto Alegre issued legal proceedings against the state power company, citing electrocutions as an environmental crime. They won and the company was ordered to install insulation. Rafael Quesada is not optimistic: “The guide only recommends environmental actions, but doesn’t oblige any company to execute them.” He sent Unearthed photographs of a dead sloth and two dead howler monkeys found below ICE power lines near Puerto Viejo this October: “There will be no significant reduction in electrocutions in the short term,” he says.